What is a hero? 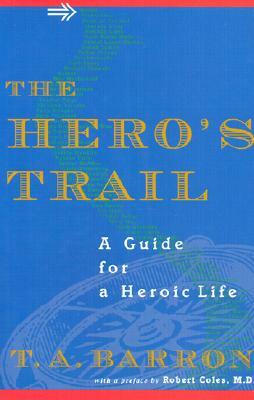 Using the metaphor of a hiking trail, bestselling author T. A. Barron discusses the great variety of heroes and brings them to life through their own stories: Some are well known, like Wilma Rudolph, Anne Frank, and Stephen Hawking. Yet most are ordinary kids who have made amazing choices: saved their siblings from a fire, struggled to stop prejudice at their school, helped raise money to build a well in an African village. This book will be invaluable to kids, parents, and educators who need role models for young people to look up toand a new way to look at what a hero is.